A recent stop in Victoria, BC with tea bud, Holly, confirmed that Murchie’s is still THE place to go for tea. A warm buzzing welcoming environment (especially appreciated with the torrential rain that day), friendly staff and scrumptious cafe menu all combine to make it a must for travelers. And I haven’t even gotten to the wall of tea yet. You’ll find all your favorites along with Murchie’s classics like Queen Victoria and No. 10 Blend. We sipped, snacked and wi-fi’d for two hours before reluctantly saying farewell till next time. In our suitcase: I brought home loose leaf Wedding – a fragrant black/green blend with rose and cornflower reminiscent of Dammann’s Jardin Bleu. 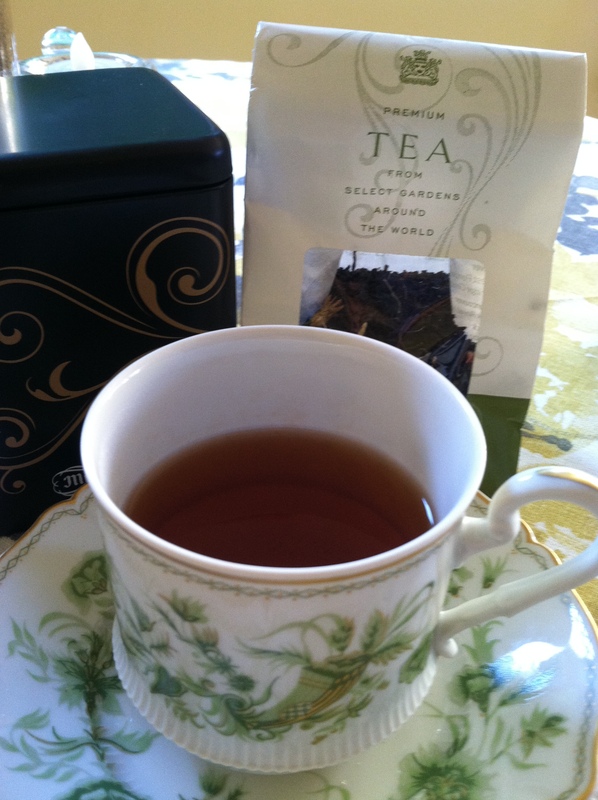 Holly opted for the Library blend and a sampler set of four premium green teas. Happy to know that some things don’t change. Murchie’s continues to offer a classy blend of urban chic, traditional charm and savvy tea know-how. Next Up: A surprising tea discovery in Victoria’s Chinatown! Note: All Murchie’s teas are available from their website but you’ll incur a minimum $10 shipping fee to the states.